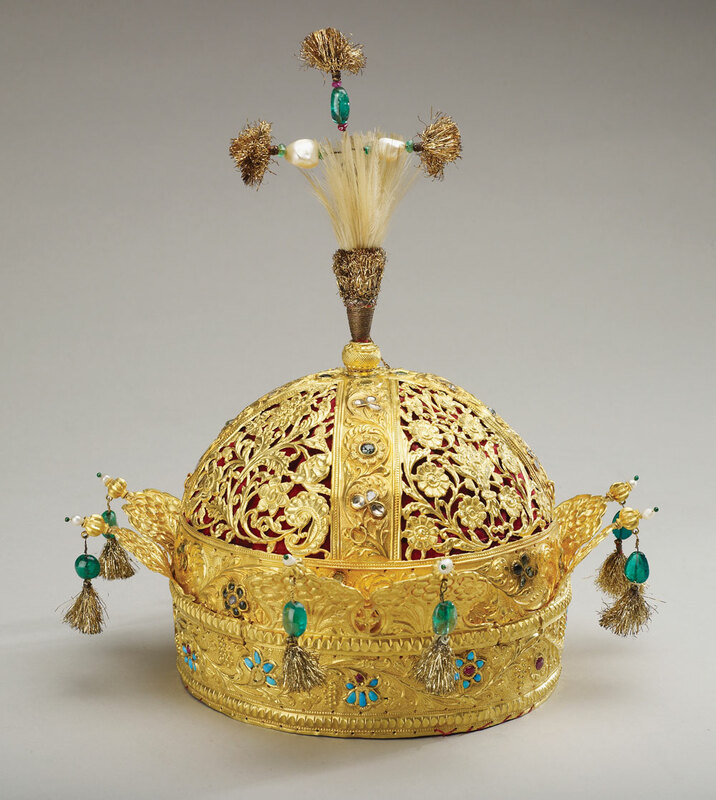 Here is the crown of Bahadur Shah II, the last Mughal emperor who lived from 1775 – 1862. The Mughals were the most powerful Indian dynasty since the (quasi-mythical) empire of Ashoka the Great and they ruled over almost the entirety of the subcontinent for three centuries, however the late eighteenth and early nineteenth century were a bad time for them and their empire had blown apart into feuding principalities (and the remainder of Mughal lands was truly run by the East India Company). 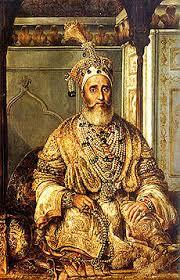 Bahadur Shah II was an apt poet, calligrapher, and artist, however he was poor emperor. His father Akbar Shah II had preferred that a more warlike younger son, Mirza Jahangir, should take the throne, but the East Indian Company exiled bellicose prince so that Bahadur Shah II became Emperor in 1837. 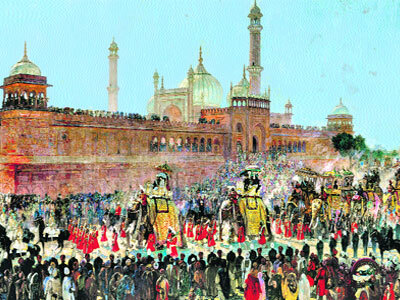 Although Bahadur truly only ruled the Red Fort—the Mughal palace in Dehli, he was chosen as the nominal head of the Indian Rebellion of 1857 which had started as a mutiny by sepys (Indian troops fighting for the British) but grew into a powerful rebellion to throw the East India Company out of power in Uttar Pradesh, Bihar, northern Madhya Pradesh, and Delhi. The rebellion did succeed in getting rid of the East India Company which was dissolved in 1858. The British army crushed the revolt and turned authority over India directly to the British crown. 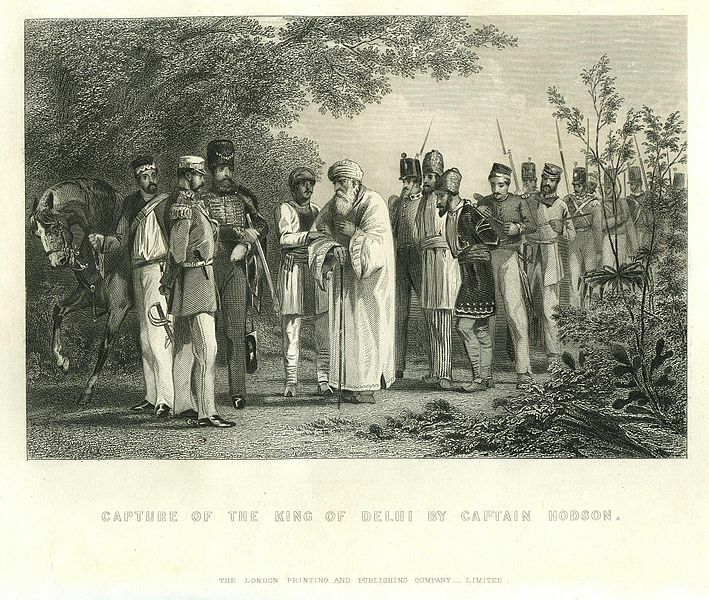 After the emperor and his sons were captured, a British calvalry captain named Hodson had Bahadar Shah II’s sons beheaded and then presented the severed heads to the emperor as a mocking Nowrūz day gift. Upon being presented with this ghastly present, the emperor famously and nonsensically said, “Praise be to Allah, that descendents of Timur always come in front of their fathers in this way.” He was then exiled to Rangoon and the Mughal dynasty was extinguished. His emerald and gold crown today belongs to the Queen of England who keeps it in her royal collection. My favorite mammals are the mighty proboscideans—elephants, mammoths, mastodons, gomphotheres, moeritheriums, and so on. I have not written about them more because the only proboscideans we know a lot about are the elephants–and elephants are complicated—they are smart and they have human length lives of great social complexity, all of which makes them hard to write about. Additionally elephants are tragic—their populations keep shrinking away as humankind grasps for ever more land and poachers kill the great sentient giants for their ivory. Yet elephants still have a perilous chance to keep on living. What is even sadder than the senseless slaughter of the magnificent elephants are the other proboscideans, which have vanished one by one from earth. Everyone knows about the woolly mammoth and Cuvieronius, the new world gomphothere, but the last non-elephant proboscideans to have died out were even more contemporary. The stegodons (from the extinct subfamily Stegodontinae) evolved in Southeast Asia approximately eleven and half million years ago. They lived in large swaths of Asia throughout the Pliocene and Pleistocene epochs and they survived in Indonesia deep into the Holocene epoch. Radio-carbon dating has dated the last living stegodons to 2,150 BC. The giants died after the pyramids were built at Giza and great cities had begun to sprout up in Mesopotamia and along the Indus valley. Stegodons looked much like elephants—a resemblance which has caused much taxonomical confusion. 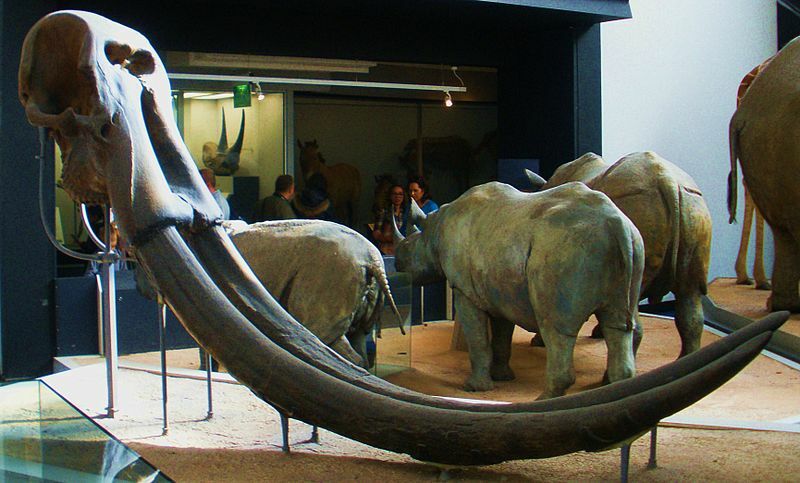 Paleontologists once believed elephants descended from stegondons but It seems now that both stegodons and modern elephants descended from Gomphotheriidae (a sister group to the mammoths). 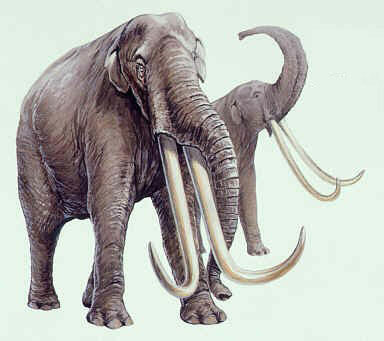 Stegodons had different molars and their tusks were so close together that their long trunks draped over the sides. 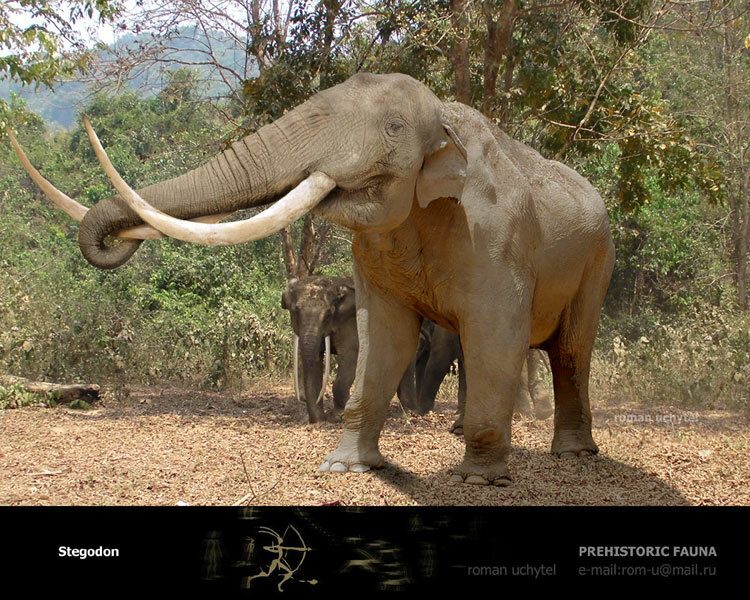 There were many species of stegodons, the largest of which were among the largest of proboscideans, far more immense than today’s two elephant species. The biggest stegodont were 4 m (13 ft) high at the shoulders and had a body length of 8 m (26 ft) which does not even count their 3 meter (10 foot) tusks! Modern humans reached Southeast Asia 50,000 years ago so we lived in proximity with the stegodons for some time before they vanished. Certain species of stegodons reached isolated Indonesian islands where, over generations, they shrank into dwarf forms. These tiny stegodons were hunted by Homo floresiensis, which seems to have been a dwarf species of human (although the scientific community has not reached consensus concerning the nature of Homo floresiensis). Imagining tiny versions of humans hunting tiny versions of huge elephant-like creatures boggles the mind! I am profoundly sorry the stegodons dwarf, giant, or otherwise could not have held on for a few more millennia. I would love to have seen them—or by 4000 years ago were they already as the Saola is now—ever retreating from a world that did not seem to fit them?